Co-Op Group 11% 2025 42TE. I know, the market is too high already, and these are a bit rich at 1.21, but the YTM is OK.
Risk: the bank having failed the last stress test ( http://www.bbc.co.uk/news/business-30491161 ) that Group will have to pony up more money to Bank. Not a no-brainer, there are risks to supply from disease and demand from Russian embargo. More of a punt. But I find the logic compelling: 1.4kg of feed for 1kg of Salmon vs 8kg of feed for 1kg of beef. Also, consider EM growth in animal protein intake. 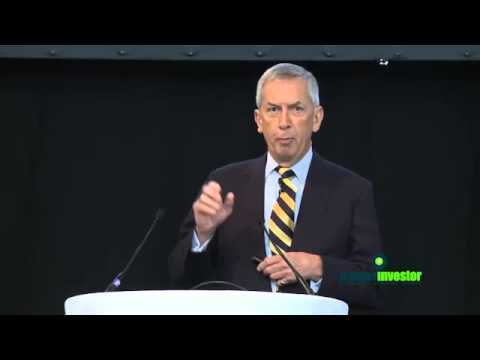 Fundsmith funds - I randomly surfed to Terry Smith and find his logic convincing. His performance, also. Additionally he is rather entertaining to listen to. I think of him as the Nigel Farage of fund managers. Disclaimer: I have taken my own advice and just bought some of all the above, as well as more boring stuff. Do your own research. If you have any ideas, consider sharing them and their rationale. The whole oil price crash seems very overdone to me. When you look at the margin of oversupply it's around 1%. With growth forecast in consumption of 1% and a falling price cutting production, it will not take long for consumption once again to exceed production thus driving prices back up. Assuming that this process takes around 6 to 9 months, the retail Enquest and Premier Oil bonds look clear buys to me. In terms of equities, a broad portfolio of 10 oil companies seems bound to yield gains in the medium term even if one or two go to the wall. The US is expected to increase production by 1 million barrels per day next year but these are projects scheduled when the price was +$90. If these are mothballed, this change alone would tip oversupply into undersupply. I thought there maybe a couple of issues planned around Xmas / the New Year? I am sure I saw an article? n to keep dividends as cash. No new investment planned due to market uncertainty. Re Enquest, buying further, plan to wait until I am sure prices (oil) are more stable. Received this email from "The Right Side" today. Providence Bonds 8.25%. Never heard of them. Anyone have any experience of them? Commentary on this mini-bond has already been made on this forum. Thanks for the JIGI suggestion, I was not aware of this fund. I am becoming a big fan of ETFs and I have found a XULL and XUSS (Double Long Gilt and Double Short Gilt). These are leveraged gilt ETFs, very risky and not for everyone, but an "exciting" way to express gilt views. Would you and other contributors to this forum be interested in assets such as aircraft leases, if they were the underlying for an ORB listed bond? Possibly, a 5 yr investment term, with a 6% coupon. This could be ‘lower-risk than the funds which are ‘equity’ with first-loss, whereas the bond could be senior secured debt with, say a 75% LTV on the aircraft? Elmir, remember the running yield is around 8%, but as I understand it a part of the dividend reflects a repayment of capital and therefore the equity price will decline over time, in theory in line with the book value of the planes. Assuming a residual value of zero at the end of the leases, the YTM is around 2.5%. Of course the planes have a longer life than the current leases but I have no idea what an A380 will be worth in 2024. Elmir, this is interesting but doesn't make a lot of sense. Your second link suggests a capital cost of $168m, depreciating over 12 years to $110m. That's a residual value of 65.5% for a 12 year old aircraft with its best years behind it and which is too large to be accommodated at most of the world's airports. I'm no expert but that looks like a very expensive baby to be left holding. It looks a lot better from Emirate's point of view: low straight line depreciation over 35 years coupled with the low maintenance costs associated with a new aircraft every 12 years. That has to be worth paying 8% for the finance element, even if (as is likely) Emirates could obtain finance cheaper elsewhere. The risks and rewards seem to be well out of balance, unless I'm missing something fundamental. With any typical ORB offering, one of the key things I look at, is the market capitalization of the issuer, generally a billion or more is to my liking! Generally I feel some security if lending 50 million to an organisation worth a billion. With Aircraft leases, I assume you only have the flying assets, and no other fixed assets or money? Therefore the risk is much higher. Additionally this very specialized investing, which requires good insight to the aircraft financing industry. Sort of thing banks would hive off if "turbulence was detected ahead" to unsuspecting retail (retired) investors.